Commercial Advertising with video production and digital marketing by Concepts Media Company creates original digital marketing strategies. With commercial advertising by CMC we provide branding, marketing, and advertising to help get your business seen and in front of a large audience on popular social media networks. We leverage digital media posts such as video, photography, and graphic design to maximize digital markets in social media, search engines like Google, and business websites to connect strategically with present and prospective customers. Social Media Management will help your business stay in touch with your customers, whether posting new content regularly so your brand can grow an organic following of customers who care about your business and your products or services. Also responding within 24 hours to gain the 24-hour badge that let your customers know you’re a legitimate business who cares about its customers. With Concepts Media Company we have over 10 years of professional video production experience, social media management, and digital marketing. So if you’re looking for social media management and commercial advertising in Stuart, FL. servicing The Treasure Coast and all of South Florida we can help, Concepts Media Company should be your first call to reach the millions of social media users locally in your area and demographics. We create a series of video blog posts on social media pages to promote the business’s products or services with paid and organic blog posts. Staying consistent and branding your businesses videos to your unique style will build an organic following, and paid ad video/photo posts will help reach new customers. With Concepts Media Company we will help with our social media marketing packages to reach 1,500 to 5,000 customers each day. 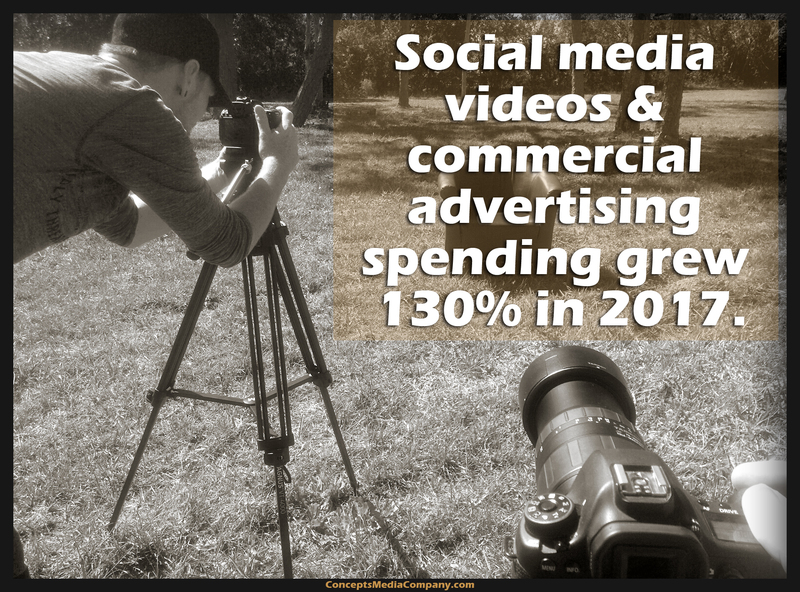 To find out more contact CMC today, and find out how social video marketing can help your business today. Find out more about marketing your business with video and social media. Video production by Concepts Media Company servicing the Treasure Coast of Florida. Contact Concepts Media Company For all your strategic social media marketing options, and video production located in Port Saint Lucie, Fl. Helping businesses to increase their foot traffic and online visitors with the best in video production services and video marketing in Port Saint Lucie and all over the Treasure Coast.